So you want a simple way to boost the oomph of your spells. You can ask 10 different folks this same question and walk away with 10 different answers. There are many ways to boost the effectiveness of spells and conjure work – but, when the Swamp Witch wants to get down to business, she turns to her Conjure Oils (also known as Condition Oils). These oils are wonderful little powerhouse concoctions of herbally-infused oils, in a base carrier. They can contain whole, cut or powdered herbs, minerals, essential oils and curios. And they basically bring together the properties and elements of the herbs and ingredients into one concentrated potion, in order to add amplification and empowerment to nearly any object or working. The time required to correctly create these oils is a labor of love. Now Cher, lemme tell you – not all Conjure Oils are created equal. And you need to be choosey when it comes to picking the right oils for you. Many workers purchase their oils from merchants, who manufacture them in great numbers; however, for the most potent and powerful, and to be certain of the validity of herbs used, it is recommended to purchase from an actual Rootworker that has reputation and skill, or make your own, of course. In today’s world of adding colorants and synthetic fragrance, it’s hard to distinguish where the synthetic ends and the organic begins. Now, if you choose to make your own, be sure to do the research and put in the time so you know exactly what you are putting into your formulas. Sometimes, a misstep in any direction can render the entire batch useless. The fact of the matter is that condition oils have been used for centuries, and they have a long and very magickal history – dating back to even before good ol’ Moses. Throughout this time, they have been used by most spiritual denominations at one time or another – including Christianity. But, let’s face it, it’s Hoodoo that has put Conjure Oils on the map! So, you have your oil. Now what? For dressing or anointing candles: dab a bit of oil on your fingers and rub it into the candle. If you are bringing something into your life, you would stroke the oil toward you on the candle. If you are sending something away, stroke the oil away from you on the candle. Burn as normal. For glass encased candles, just place a drop or two of the oil in the top of the candle. You can also dress letters, petitions or name papers with these oils. Dressing a letter or petition/name paper is easy. Just dab the oil in the four corners of the paper, and in the center, to create a 5-spot pattern, then fold the paper as normal. You can feed a Gris Gris or mojo bag, as well as doll babies by putting a few drops of oil in your hands, rubbing them together and then working with the Gris Gris or doll. And finally, you can add these oils to floor washes, bath salts, shampoos and conditioners, or even perfumes. You can dab a bit in a window sill or in a doorway. You can rub some on your hands and touch a person you wish to influence. You can anoint cash or checks, the keys on a cash register, or even the very soles of your shoes. I, personally, use them in many of the above applications, but also in conjure jars and vessel magick. I will mix them with powders of the same condition, or a complimentary one, to make the work more even more powerful. 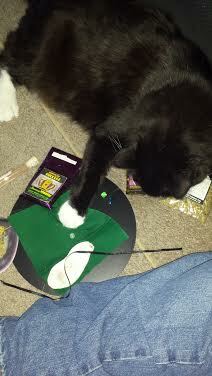 So, Bebe, you can see how these little herbal tools are a wonderful weapon in your magickal arsenal. But, again, be choosy. Due to the increasing number of manufacturers that opt to use synthetic colors and fragrance, in order to boost the sales of their product, we decided to dig out our old family magickal recipe book and began working with a few herbs and various oils. Over time, and through trial and error, we have created a nice little selection that we are finally quite pleased with. Now, while the oils are new, the recipes themselves are not – and we have seen amazing results. We now feel comfortable and confident enough to offer these Conjure oils to our clients, as well as anyone wishing to give them a looksee. So without further ado, Inexplicable Things is proud to offer a variety of southern Swamp Conjure Oils. We only use the finest organic ingredients – be they herbal, floral, mineral or curio. We grow or wild harvest what we can, right here in the Louisiana bayou, but when we must buy, we purchase only from highly reputable botanical suppliers that we have experience with. We take great care in the milling and refinement of all components, regardless of the final product. Our process is simple – we hand grind, sift and mill the botanical components, then introduce them to the carefully chosen carrier oil. The oils we use are all exceptionally skin safe – even for the most sensitive of skin types. * However, they are not meant to be hypoallergenic. Certain oils do contain botanicals that can irritate sensitive skin, such as cinnamon, red chilies, etc. We do highly recommend that you do a skin test if you are prone to sensitive skin. Aside from this, they are safe and will not stain. The oils then hit the Cajun spa! The get a long, slow, warm bath. We simmer all of our oils for no less than 12 hours. This not only guarantees that we keep a close, loving eye on each bottle of oil that we produce, but it also guarantees that the herbs are completely infused in each oil. Once they are ready to be taken out of their warm bathwater, they are allowed to cool to room temperature. Then, we strain off the botanicals and add fresh cut herbs before they are bottled by hand. They are then sealed with a tamper resistant cap and seal, and are placed in a dark, quiet spot where they can sit undisturbed for a few weeks to achieve maximum potency. Absolutely NO fillers, NO additives, NO preservatives. Mais, I tell you – I can guarantee that your oil won’t have a single drop of any added synthetic fragrance, perfume or color additive. They are all natural, and you can tell difference when you smell them. They are herbal, no question – not synthetic, and not over-fragranced. Our oils are also quite thick. The long simmer makes them even more so – expect some serious settling on the bottom of the bottle. Now, keep in mind – just because the botanicals have settled to the bottom of the bottle, the oil is just as potent without being shaken; however, if you want to stir up those herbs, you gonna have to shake, Cher! Shake, Shake, Shake baby! This shows ya just how serious our oils are! So, there ya have it! The Swamp Witch’s secret weapon for getting’ the jump on her target: southern-style Conjure Oils. And just like our Conjure Powders, the possibilities are endless! Use your imagination… go wild and get oiled, baby! Please see our website at http://www.inexplicablethings.com/conjure-oils.html for a complete list of available Conjure Oils. Also, an important note: if you are looking for something specific, feel free to ask – we do make custom blends, specifically designed to suit your personal situation. Just a quick little explanation of what an Orisha is. Orishas (also known as Loas, Lwas, Mysteries or The Invisible) are basically the Gods – or the ruling forces of nature, and all serve different areas of human needs. They embody the traits of those areas in nature that they rule over. It is important to note that there are, literally, hundreds of Orishas – and based upon the type of tradition (Yoruba, West African, Haitian, Louisiana, etc) one follows will determine what you call them. They are divided into roughly 20 or 21 nations, which include Rada, Petro, Nago and Congo. With that being said, there are several that are commonly called upon, offerings made to, etc., and they correspond with Catholic Saints. To further complicate matters, the Lwa also fall into families with surnames: Ezili, Ghede, Ogou, etc. Damballa-Wedo: very powerful sky serpent in Haitian Voudou. Symbolizes peace and harmony, also known as Papa Damballa and is associated with Saint Patrick. Offerings for Papa Damballa are eggs on a mound of flour, corn syrup, chicken. His color is white. Older, wiser and full of wisdom. Ayida Wedo: wife of Damballa. Is the rainbow in Haitian Voudou. Symbolizes trees, springs, pools, rivers. Colors are white and blue. She shares her husbands responsibilities in the Sky. Agwe: Married to Erzulie and La Sirene. Patron to seas, rivers, fishermen, sea captains, pirates. Thursday is his day. He is the Lwa of direction, inspiration and guidance during times of loss. Yemaya: Mother of life on Earth. She is the guardian of the Sea. Her sacred number is 7. Her colors are aqua blue, white, translucent colors. Her symbols are anchors, mermaids, fish, anything associated with the sea. 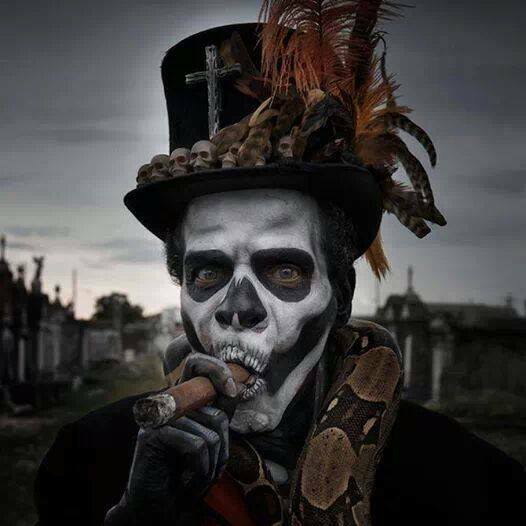 Baron Samedi: Haitian Voudou Lwa of the Dead. He is one of my personal favorite! 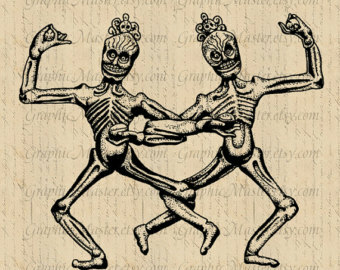 When you watch TV or movies and you see the man with the skeleton face and top hat, usually smoking a cigar – this is who they are attempting to depict. He is loud, rude and full of debauchery – but he is never insulting or disrespectful. He is suave and an extreme expression of individuality, and always fun. His colors are red and purple. He loves Rum and hot peppers. Maman Brigitte: The good Baron’s wife! The equivalent of the Irish pantheons Brigitte. She is the Voudou Lwa of comfort and protection during death – letting go. She loves black roosters. Obatala: The Supreme God Olodumare – the closest that humankind can imagine… the hand of God. Sky father and the creator of human bodies. The Father of all Orishas! He is often offered snails, as a traditional offering. Erzulie: Haitian Voudou Orisha of love – protector of women. She takes on many forms from prostitute to fierce warrior to red-eyed weeping crone. She manifests deep passion and seduction. She is the equivalent of a Triple Goddess and she has three husbands (Damballah, Agwe, Ogoun. She loves sweet things – so for her altar, sweet foods, bananas, perfumes, anything fried with sugar. Ogun: Lwa of iron, war and labor. Almost always used first for war. Ogun clears roads with his machete. Number 7 is his number and his colors are green and black. Shango: Ruler of lightning, thunder, fire, drums and dance. He is a warrior with exceptionally quick wits and an even quicker temper. He is virility embodied. Extremely hot-blooded, strong willed. His colors are red and white, his numbers are four and six. He is often represented by a double headed ax. And the last I will mention this evening, my dearest Papa Legba. Also known as Elegbara, Elegua, Eleggua. He is the gatekeeper, the guardian of the cross roads and all doorways. He is the first Orisha approached when you wish to speak or work with any of the others – he holds the keys. 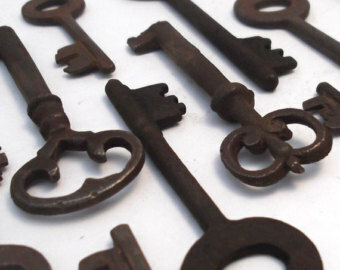 Not uncommon – keys in sets of three are his symbol. His colors are red and black and his numbers are 3 and 21. He is a trickster – you had better know what you want, or he will take the long way around helping to get you where you want to be. Believe me… I am speaking from experience. The outcome was rough…but it’s essentially what I asked for. … I just didn’t realize it would come at the expense of other things. Lesson learned and since – he has been my favorite to work with. But then, the crossroads is where I choose to dwell and practice my brand of darker magic and voudou. These are just a few of the more common Lwa. Again, there are hundreds. And this, in no way, is in order of importance, etc. I use them for nearly everything – and they are most gracious… when they choose to be. They do require a great deal of energy and admiration. But it is well worth it in the long run. If you want to learn more about this – let me know, I can gladly give you some websites or reading lists. Please do not confuse Voudou (Voodoo) with Hoodoo – as they are two separate and very different things. I, personally, practice both – but it has taken me many years to get to where I am. If you have any questions about what I practice, please do not hesitate to ask. Nothing is taboo with me or my family. (My husband is a demonologist and takes it to a whole new level.) We are open books. We, most assuredly, do not profess to know everything – we are seekers of knowledge. 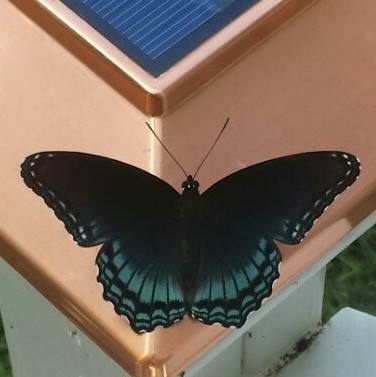 In my life, I have studied Stregheria, Celtic paths, Dianic, Shamanism, Druids, and many others, but when I embraced my dark side – this is where I became most powerful. I take full responsibility for what I do. And I do the things that many other practitioners do not. There is a time and place for it. I have done what my clients wanted but were afraid to do on their own. I am a spiritual guide and confidant. I have been on my own personal path for over 40 years – loving every minute of it. So, again, feel free to ask me anything at all. Greetings and Salutations from the bayou! So many wonderful things have happened since last we spoke! I apologize for my absence over the last couple of months – but it will not be happening again. 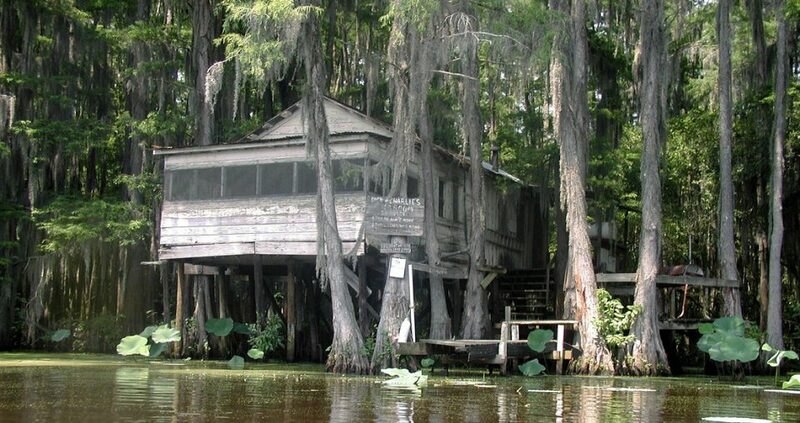 As most of you know – my family and I moved not once, not twice, but three times in the last 6 or 7 months – but we are now firmly rooted (using that term loosely) in the bayou! 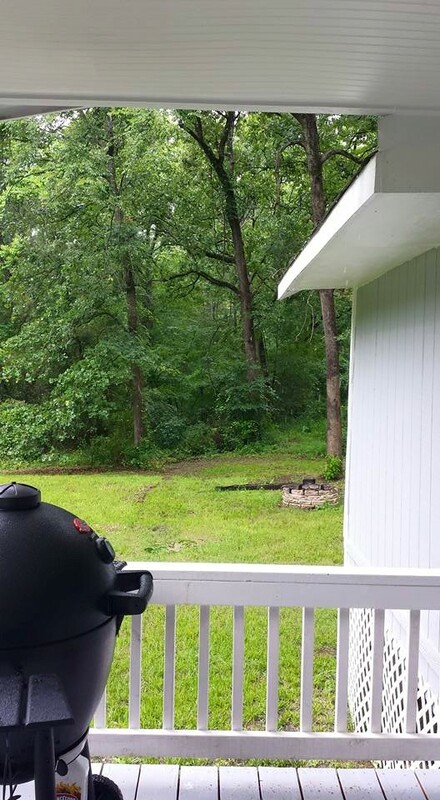 We purchased a quaint little cottage on a little piece of land surrounded by life and trees and things that will bite you! 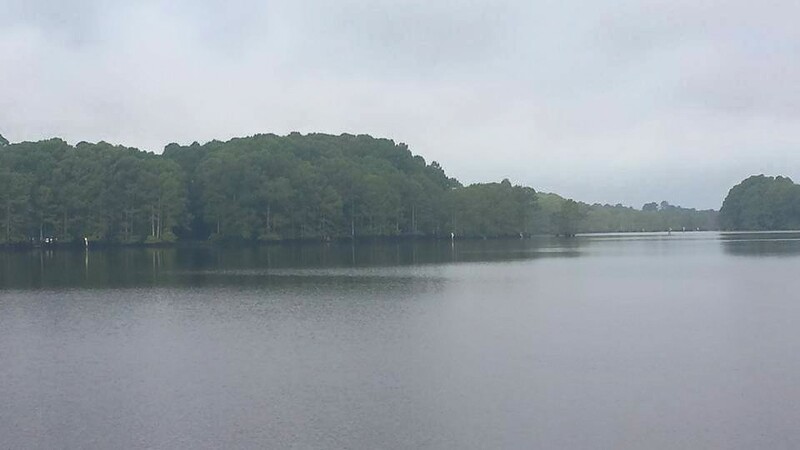 We are less than a mile from a beautiful lake that is home to the largest cypress forest in the world! It’s amazing here! 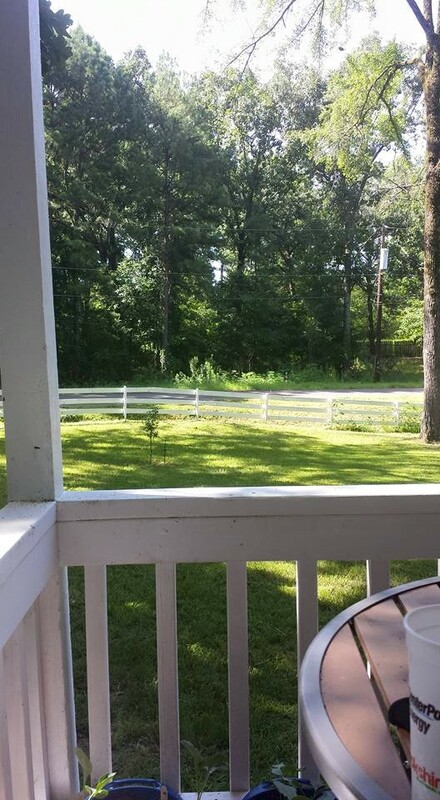 I spend evenings on the porch or in the trees trying desperately to catch the millions of lightning bugs that put on quite a show each night. I feed the squirrels and vow to have one as a pet eating out of my hand by year’s end! 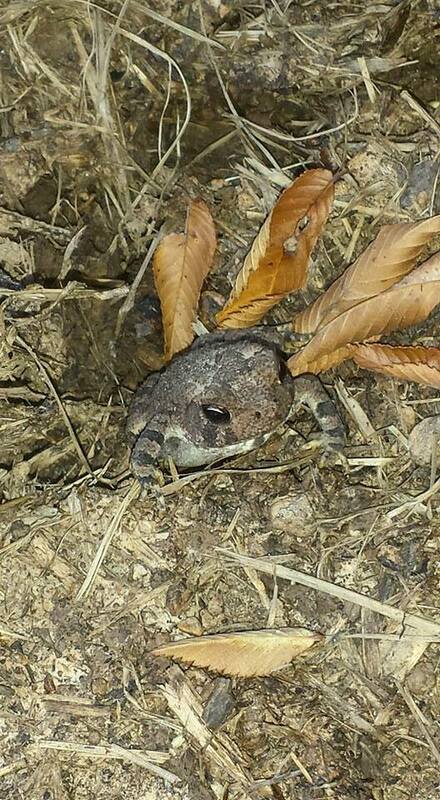 I have a yard full of small toads and bright green lizards that invariably keep me company when I walk through the grass. 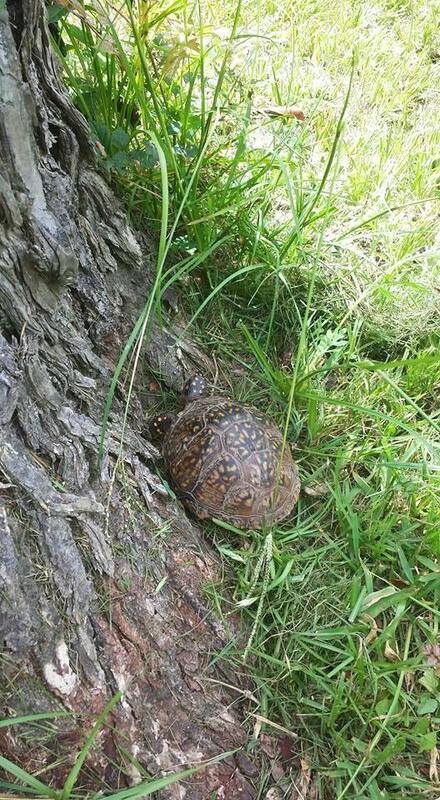 I even have made friends with a small box turtle that keeps sentinel around the perimeter of the property. I love it here! It has taken me a few months to settle in, set up shop, get my personal working altar up and running and begin some semblance of a normalcy that I can call routine. I have chosen a picture window in the living room that looks out towards the dense woods behind our home. This will be where many things come to pass! The hubby is working on an office-type set-up for me, but for now, a recliner and TV tray will suffice. This only took about 7 years, but who’s counting?! It’s still under construction, but will most likely be a living, breathing, changing thing anyhow. I am using the site to focus on those fans of a darker nature. Those that need a little help and are afraid of who to ask for fear of being judged. We all could use some help sometimes… and sometimes that means doing whatever is necessary. There are a great many practitioners out there that focus on the good and happy – but what about when we need have that need for justice or vengeance gnawing at us? What about righting a wrong done to you? This will also be a place I can show off some of the bones and more nefarious wares that I stumble across in my travels. My cemetery photography will also be captured there. I have completed my studies through Lucky Mojo’s Hoodoo / Rootwork Correspondence Course. It took me just about a year since starting, but I was able to complete it. Many of the things I learned, I already had a sense of understanding, but it also clarified a few things. I have a much better understanding of Hoodoo and Southern Folk Magic now – and I can combine that with my own brand of magic. This only makes me more powerful and able to do more for my clients. I can say this… since combining Southern Folk magic and Hoodoo with the brand of magic I already practiced, I have seen amazing results. I am looking at close to 100% success rate, right now. I can’t wait to start helping even more! Seems like everyone has a niche, if they can just find it. I think I may have found mine – even if it does require lurking in the shadows! So – being back down in the South and in particular, the bayou, has been a blessing. More to come! Let me know if you are in need of any services that I haven’t gotten around to listing yet – or if you have something in particular going on in your life that you could use some help with, or just talk about. I’m always here – with an open ear. More to come soon, my minions! Oh, how I’ve missed you! And so we meet again . . .
And so, it’s been awhile, since I was able to properly visit this blog. It’s been a whirlwind of change and adventure for my family. The husband and I made a quick trip to Louisiana in early January – all on the spur of the moment after looking at property on the internet. We met with a realtor at 10 AM and by 4 PM we were signing papers with a broker! In late February, we up and moved from West Texas, back to our beloved state of all things Cajun. Needless to say – the previous month had been filled with struggles. With everything from the seller cutting down large pine trees to failed/forgotten appraisals. At the end of the day, we wound up deciding that there were simply too many odds against the property and it wasn’t meant to be ours. Since then, we have found a place to call home for a bit, and I have been able to get back to my candle craft. I have reset my altar, and increased work on a few things. I am about to complete a professional photography certificate, as well as my certified Hoodoo Rootworking course. It’s a time of completion, as well as the anticipation of new beginnings to come. 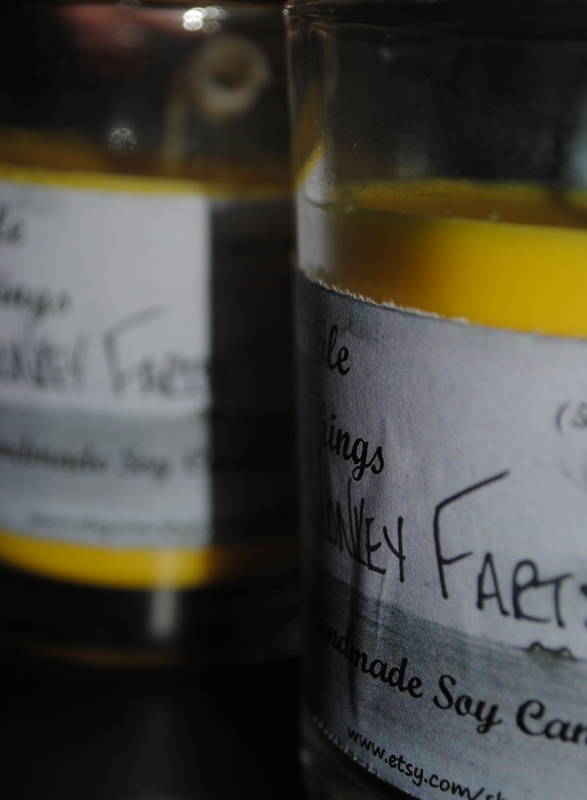 I am finally to spot where I can offer my candle creations on Etsy again. These candles are all natural soy – which is clean burning, offers much fragrance throw and benefits the American soy bean farmer! My 8oz candles come in a high quality, reusable glass tumbler and packaged in a cute gift box. They are all handcrafted and hand-poured – with love and happiness. They are not mass produced, nor fancy packaged – but they can be blessed to suit your specific needs. Candles of a darker nature can also be had here – simply for the asking. More to come , soon, my pets!